Offering you a complete choice of products which include uv curing machine, uv drip off system, 3d uv curing machine, pcb uv curing machine, uv conveyor and low pile uv curing machine. 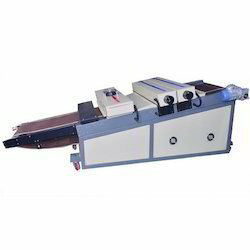 We are the leading suppliers of 0.50 HP UV Curing Machine. Clients can avail it at best market prices. Easy to operate zero make ready time. High-quality air blower: 2 HP. All Switch Gear will be Schneider (CE certified). High-quality copper transformer for long-term running. All bearing used (SKF makes) CE certified company for trouble-free operation. Separate ampere meter for each UV lamp current indication. Separate hour meter for each UV lamp time notifications/ measurement. High vacuum in through BED. Suction hold down on delivery for undisturbed paper travel. UV hood with the latest state of UV technology and top surface will be cool. We are offering UV Drip Off System to our clients. 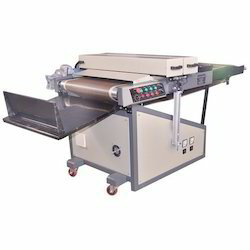 High-Quality Anilox Roller (2/3/4 GSM) for Accurate and smooth Transfer of UV Varnish. High Quality Helical Gear for noiseless operation. Quick Roller Changing Design makes differ from other. Least Power Consumption for coating Unit. Pneumatic Cylinder for moving the Coating Unit. We are offering 3D UV Curing Machine to our clients. 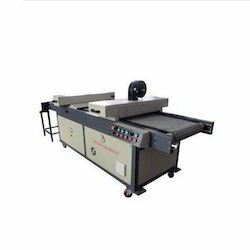 We are offering PCB UV Curing Machine to our clients. We provide high-quality products to our clients. 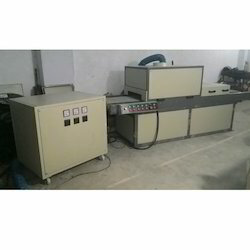 We are the leading suppliers of Conveyor UV Dryer. Clients can avail it at best market prices. High Quality Copper Transformer for long term running. All bearing Used (SKF makes) CE Certified Company for trouble Free Operation. Dizario Low Pile UV Curing Machine is the latest state of UV Technology. We are offering UV Curing System to our clients. Main drive motor makes Rotomotive (CE certified). Gearbox makes techno tech/ultra (CE certified). AC drives with a variable-frequency drive (VFD) make- delta (CE Certified). 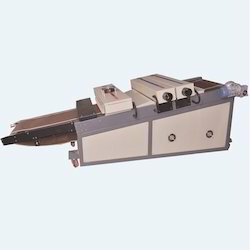 Dizario machinery Conveyor is the latest state of Auto Hood Lifting UV Curing Machine. Main Drive Motor make Rotomotive (CE certified). Gear Box makes Rotomotive (CE certified). AC drives with the variable-frequency drive (VFD) make- Delta (CE Certified). High quality 2 UV Lamp (300W/inch- Western Quartz). 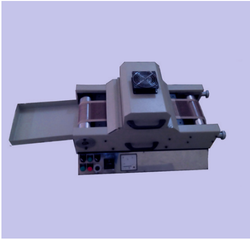 Auto Hood Lifting Attachment when the Conveyor belt stop for any emergency button press the hood would be lift automatically for the protection of PTFE belt. Pneumatic Cylinder make- SMC for Auto Hood lifting. 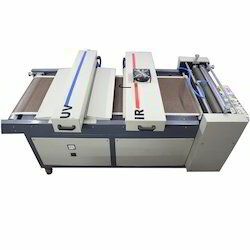 Dizario machinery UV Machine is the latest state of UV Technology. Main Drive Motor make Rotmotive (CE certified). Gear Box make Rotomotive (CE certified). Dizario UV Led curing technology is utilised for drying inks, caoting, adhesive and other uv sensitive materials through polymerisation process. Our curing sysment can apply in many segments including printing industry, industrial bonding and sealing. UV Coating for wood surface and other coated surfaces. 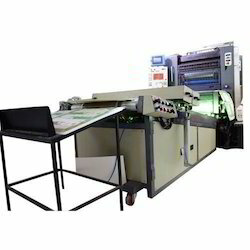 UV-LED Printing for offset, narrow web offset, digital, screen printing and flexogarphic process. instead of led. it makes our product efficient, the working times is 25000-30000Hrs. and there is no light failure dusirng the working times.